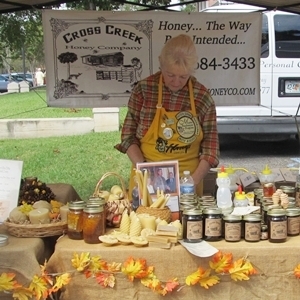 Cross Creek Honey is a mother – son partnership offering premium Florida honey. They also sell candles, soaps, lip balm and more. 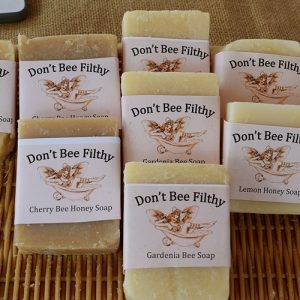 Beekeeper Nancy Gentry has spent years working with the Department of Agriculture to see Florida adopt the first honey standard in the nation. The take great pride in their honey and provide honey that is never filtered or heated. Orange Blossom — Florida’s finest: When the orange groves bloom in early spring, the night air smells like a bottle of expensive perfume. The honey’s color and viscosity which may be as light as sweet lemonade or as rich and thick as hand-churned butter, all depends on our Florida winter and the thickness of the nectar the bees collect from the blossoms. Orange Blossom honey is rich, delicate, a simply beautiful honey. Sadly, since grove owners are now having to spray for the deadly Citrus Greening which is toxic to honey bees, fewer and fewer migratory beekeepers are returning from pollinating the California almond crop and placing their hives in the groves which means far less orange blossom honey is now being harvested. Tupelo — the premium Florida honey: Come spring of each year, the beekeepers move their hives to the riverbanks around the famous Wewahitchka and the other riverside towns in the Panhandle. The bees will fan out through the swamps and feast on the White Ogeechee Tupelo blossoms. Tupelo honey has a light amber gold color with just a hint of greenish hue. This honey is a choice table grade honey with a delicious flavor and a delicate distinctive taste. Tupelo honey has been harvested since way back in the 1880s. Today this honey is becoming scarce as the water tables along these rivers are receding causing more and more of the Tupelo trees to die every year. Gallberry — This is the true favorite of Florida locals and the most popular honey here in North Florida: Gallberry Honey is desirable for its rich, elegant taste, warm golden color, thick and aromatic. This plant is indigenous to Florida, a small evergreen holly bush (also called Ink Berry) that grows in the piney woods. Gallberry bushes are the preferred food for our White-Tailed deer, so when hunting season commences, the hunters always look for fields of Gallberry where they will surely find the deer. Saw Palmetto — long preferred by Native Floridians: This honey has seldom been shipped to rest of the country because it is harvested in such small quantities. Saw Palmetto honey is a beautiful deep cherry-color, a full bodied flavor, a citrus, smoky taste with woodsy overtones. Back in the 1800s, when the rich tourists of the North ventured down to our tropical paradise, the Florida Crackers would smile nicely to the visitors and sell them the orange blossom honey while they kept the Palmetto honey for themselves! Florida Everglades — from the “Land of 10,000 Islands”: the bees in early spring are primarily foraging only on fruits; Black Mangrove, Sea Grape, loquats, lechee nuts, star fruits, fields of avocado, and many other exotic plants making Everglades honey the most exotic-tasting of all the Florida honeys. Dedicated honey connoisseurs often describe the taste as bold Florida cane syrup followed by a subtle burst of fruity flavors that linger delicately on the palate. 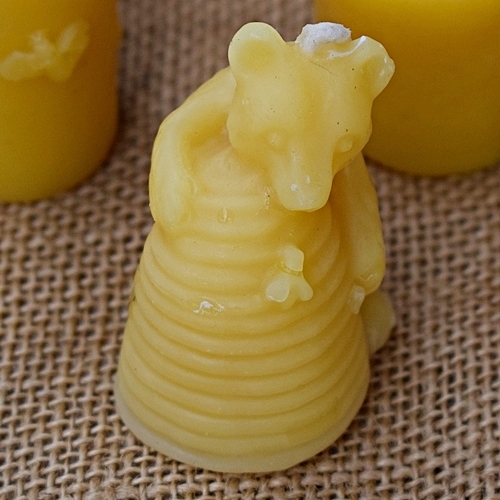 This honey is very popular with green tea lovers. 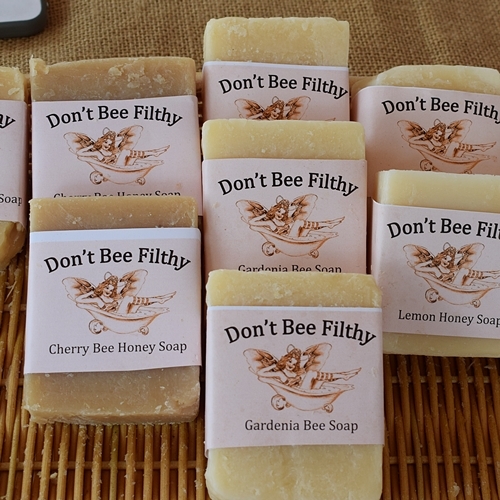 Cross Creek Honey Co. is the only honey vendor in Northeast Florida that offers this very desirable honey.